Having been active all my life, travelling was bound to upset my weekly exercise routine. There will be no Pilates classes three times a week and the ease to go for a run won’t be as appealing when the temperate is 30 degrees outside with 90% humidity. But for me exercise is ingrained in my DNA and after a week without it, I start to become irritable. Heading to Thailand and India where Pilates classes are scarce and yoga classes are in abundance, it’s time to head on a yoga journey. Having only tried yoga a handful of times I’m keen to explore it more. I’ve also recently started meditating, having had my first introduction only a little over a year ago. I had an amazing one on one session with a lovely lady named Lani at the Gaia Retreat in Byron Bay. She was the perfect teacher to set me off on a new spiritual path and journey. It was a huge help for me last year as I tried to cope with grief and I’m keen to experience it more and its benefits. So I was pleased when my friend Melenie suggested we try a yoga class during our stay at Koh Tao. With ten days of solid drinking ahead (We’re on holiday. It’s a celebration!) I was up for anything active to help balance what was being consumed. We tried a class at Ocean Sound in Chalok Town. The class was Vinyasa yoga taught by Gaybrielle from Montreal. Three of us decided to give it a try, all varying at different levels. It was an enjoyable class. It was easy to follow with options throughout for beginners to advanced. Everyone’s technique was closely monitored and corrected when required, but in a gentle way. It was a small studio, clean and bright with plenty of equipment. Sadly we didn’t make it back for another class, the days of boat trips and sipping cocktails by the pool started to take over. We did manage a lovely long coastal walk for a day and whenever I could, I would hike the 20 minute walk up and down the steep hill in the heat from Chalok Town to the resort to help rid of any guilt for the lack of physical activity. 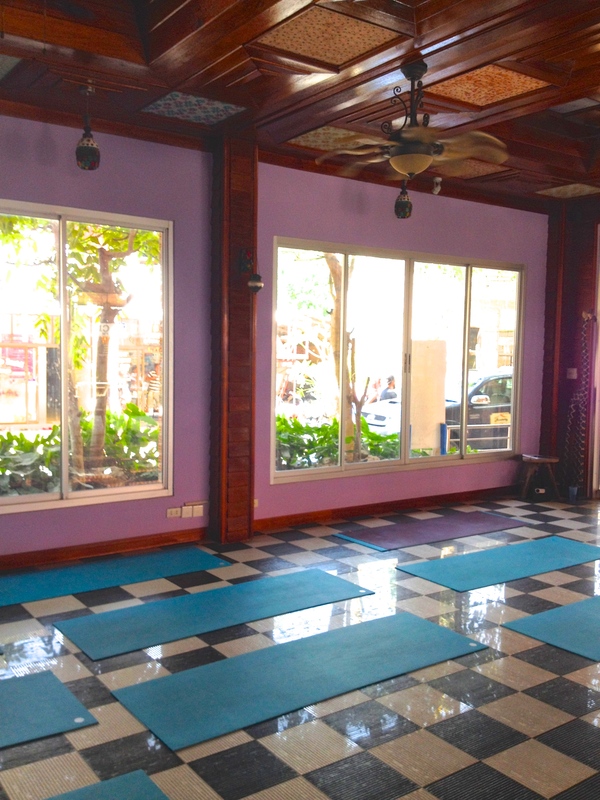 Ocean Sound can also arrange a Thai Yoga massage to have at the studio for 1000 baht. I left organising this too late and the masseuse was not available when I wanted to squeeze it in. It sounded amazing. An alternative and cheaper option is to try the places near the studio. We had a couple during our stay in the village and they were absolutely fine. Your normal stock standard Thai massage. You can easily walk up and get one there and then. 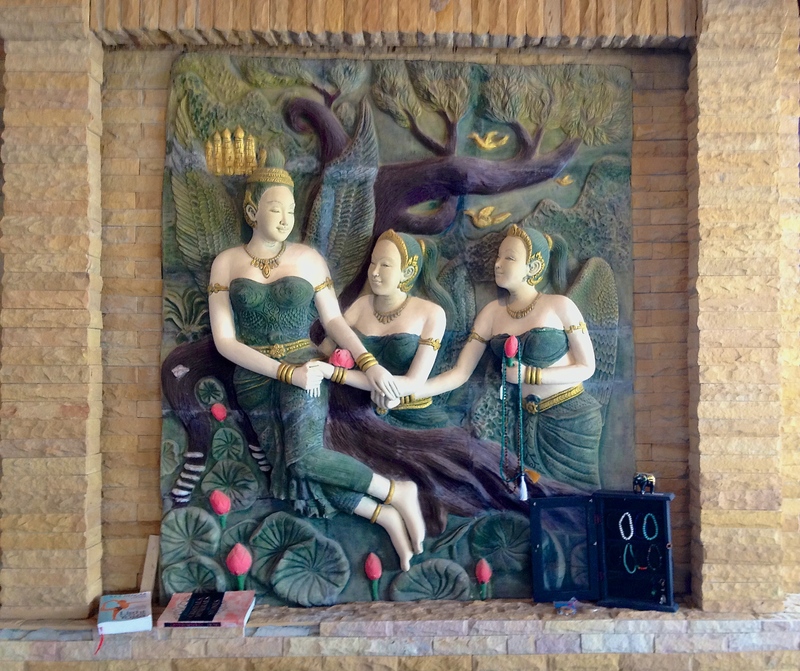 Like any massage in Thailand, let your inhibitions go and try your luck. You get what you pay for, but it seems crazy going to a spa in Thailand paying the same price as you would back home when you can get it for a third of the price off the street. Sure it’s not quite as nice as a luxury spa experience but you can still enjoy some pretty good massages regardless. Grounded is another option on Koh Tao if you’re looking for a retreat and it seems to have good reviews on Trip Advisor. My success rate on Koh Phanghan was slightly better. I was there for four nights and managed to do two yoga classes, and a meditation session at The Sanctuary. Unfortunately the stars weren’t aligned and I was unable to stay there, however anyone can attend their daily classes. It’s a gentle stroll over the hill from Haad Yuan. The two yoga classes I tried were taught by Stefano hailing from Cyprus, now based in England. His classes were clearly explained and you felt at ease in the large Buddha Hall where the classes were held. I was planning on doing the free meditation session after each yoga class, but the yoga nidra meditation at the end of the class meant I didn’t feel the need to in my post relaxed state. The meditation class was my first ever group class and for this session we lay down for the meditation. The first 15 minutes were uncomfortable for me, free movement and dancing around with complete strangers (without music) I found was pushing me out of my comfort zone and wasn’t really my thing, but thankfully it was soon over and we were allowed to lay down and listen to the guidance of the teacher while soothing gentle music played in the background. We relaxed and breathed. I was in such a blissful state by the end of the session, that I didn’t want it to end. As I lay on my side bringing my awareness back to reality, tears started to roll down my face which caught me by surprise. I wasn’t sad, I was feeling calm and rested. I was in such a relaxed state and feeling content, but for some reason the tears were falling. If I hadn’t been in a room filled with people I probably would have let the tears really flow. But embarrassed I dashed out of the Buddha Hall as soon as I could soaking in the experience as I strolled back to my resort, relaxed under the moon lit sky.